calling all artists: ecofarm needs your work! 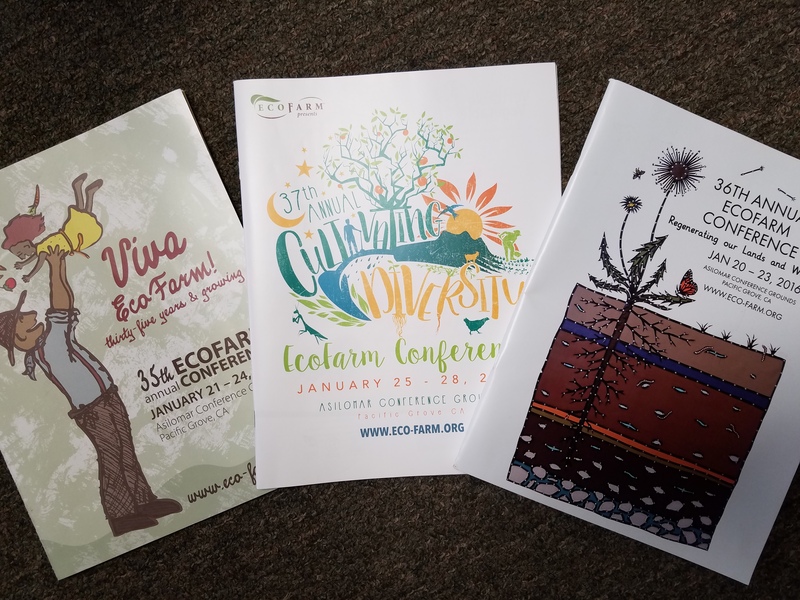 Showcase your artistic vision through a unique design around the yet-to-be-announced theme of the 38th annual EcoFarm Conference. The selected artist will receive significant exposure, an honorarium, and help generate buzz for this iconic event. Submit your portfolio to deborah@eco-farm.org by Saturday, April 1, 2017. EcoFarm will be in contact with selected artist by Wednesday, April 12. Completed artwork will be due in mid June, 2017. If you’re unfamiliar with EcoFarm, you should get acquainted! You can learn more by clicking HERE, but this is an incredible organization with a long history of promoting an ecologically sustainable and just food and farming system, as well as putting together an inspiring farming conference each and every year.